Goodbye Park Ave South, Hello Upper Montclair! Hi everyone! 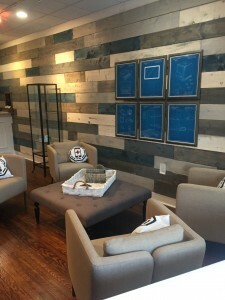 Just want to pass along that we’re relocating our store and team at 110 Park Ave South in New York, NY to 195A Bellevue Ave, Montclair NJ 07043. Please give us a call at 862-930-4480 if you have any questions. Touch Disease Repair on iPhone 6 and 6 Plus. The Device Shop Can Help! Notice the gray bar at the top of the screen? 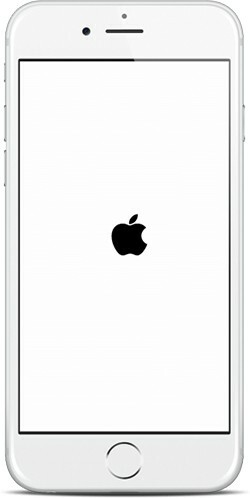 iPhone 6 and iPhone 6 Plus users are experiencing this gray bar and loss of touch. The Device Shop now offers Touch Disease Repair. 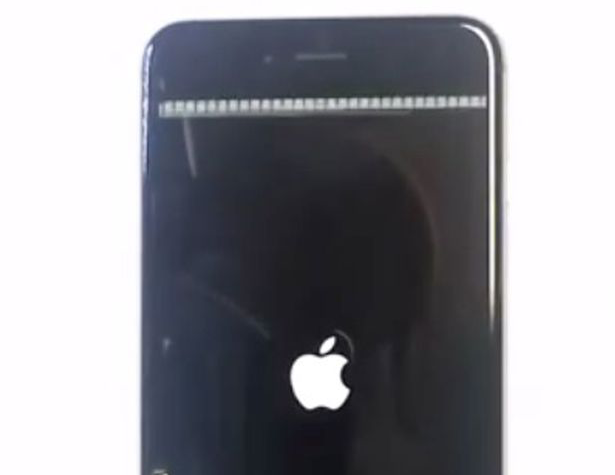 Have you noticed a strange gray bar at the top of your iPhone 6 or iPhone 6 Plus screen. Has the touch sensitivity on your iPhone 6 or 6 Plus just stopped working all together? We’ve noticed it too. And so have a lot of other people, including the folks at Apple. Remember #bendgate? Very shortly after the iPhone 6 and iPhone 6 Plus was released, there were reports and videos galore about the frame of the iPhone frame bending with relative ease. 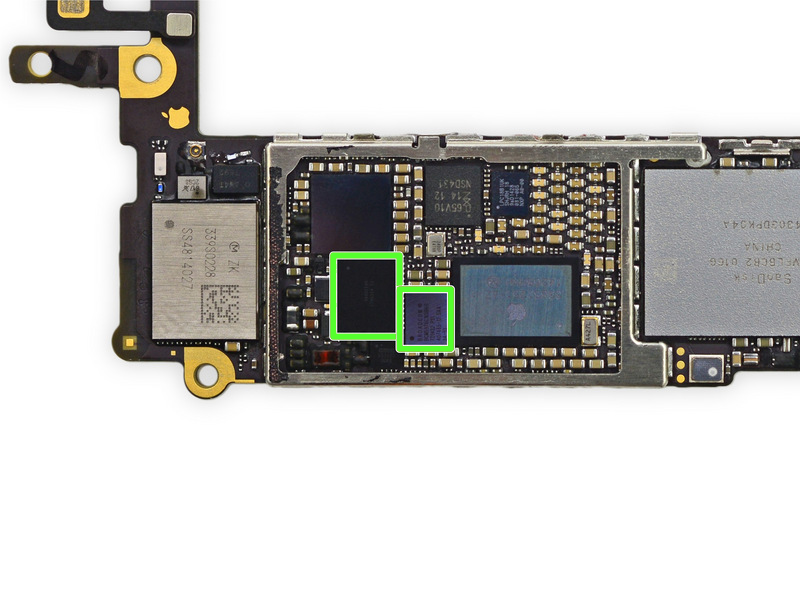 As a result, after the prolonged use and bending of the iPhones over the course of a year or two, there are two IC chips in charge of regulating the touch that are failing. So what is Apple doing about these Gray Bars of Death? So what are we looking at for an out of warranty cost? On the iPhone 6 Apple charges $299 to replace the device, and on the iPhone 6 Plus they charge $329. And what about your data? It’s gone. But it doesn’t have to be. We’ve got good news. The Device Shop now offers Touch Disease Repairs / Gray Bar Of Death Repairs. 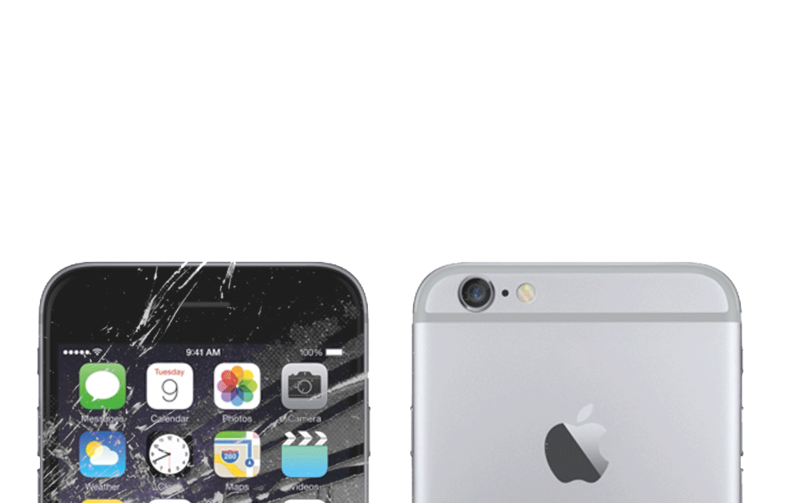 We’re offering the iPhone 6 / iPhone 6 Plus touch disease repair for only $129.99 + tax We’ve got specialized micro-soldering technicians that can do your repair correct and efficiently, saving your data and saving you hundreds of dollars in the process. What type of iPhone do you have? Please describe the issue with your phone. Oops. Did you fall for the 1970 Bug? We can help. Did you fall for the 1970 date bug floating around that bricks your iPhone? Bring your iPhone in to any of our locations. We’ll unplug your battery to reset your phone free of charge. The Device Shop is happy to announce that we’ve lowered the price of iPhone 6 screen replacements are only $109 + tax with a good LCD. 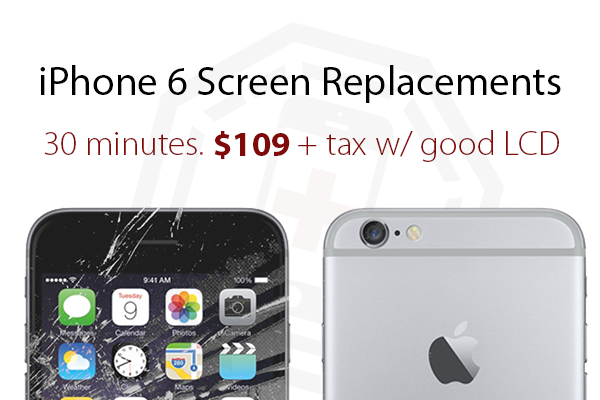 iPhone 6 Screen repairs generally take about 20 minutes to fix and appointments are suggested. As always, all of The Device Shop repairs come with our industry leading 180 day warranty. Make an appointment today! Questions? Call 347-469-0378.
iPhone 6 Screen Replacements Available Now! The wait is over! The Device Shop in New York City is now able to repair broken iPhone 6 screens. After nearly three agonizing months of not being able to repair the iPhone 6, we’re now comfortable with the quality screen and price we’re able to get. As the prices continue to fall, we’re carrying limited quantities of the new screens. Same day service, no hassle. 6 Month Warranty. Make an appointment today. Is it time to replace my battery? Every year, when the temperatures plummet, we see an influx of battery replacements. The cold weather just seems to wreak havoc on the batteries, so extended use outside could cause your phone to drain quicker than normal, and shut off randomly, even though the battery still has power. In older phones, this occurance is far more common as the batteries have less cycles left in their life span. The cold weather just seems to exploit this. Also with bad / older batteries they tend to swell. This can lead to a dangerous situation as they also tend to overheat and they can actually explode. Below is a list of symptoms for a bad battery. Poor battery life. Depending on the model device you have, you should at least be able to get 4.5 hours of moderate use. Premature Shutdown. 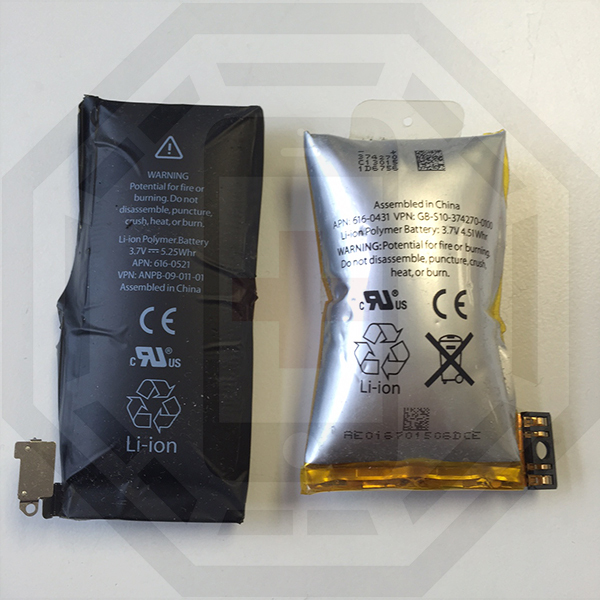 If your phone shuts off prematurely, a new battery would surely resolve the problem. Swelling. If you’ve got an iphone 4 or 4s, and the back glass looks like it’s protruding, or there’s pressure on the front of the screen / discoloration, this can be a sign of swelling and you should replace the battery immediately. If you experience any of the above, we’d suggest getting a new battery. With an appointment, a battery replacement only takes about 15 minutes. We’ve got 6 convenient locations to serve you in Manhattan and Brooklyn. If you’ve got any questions, don’t hesitate to call. 347-469-0378. I’ve been an AT&T customer for over 10 years. Back when they were AT&T Wireless, which was before Cingular. The only, and I mean only reason I’ve stuck around was because of my Unlimited Plan. That, and the fact they would allow me for early upgrades for the new iPhones every October. Since they eliminated the early upgrade promo when the 5S came out, the only reason to still stick around was for the unlimited data. 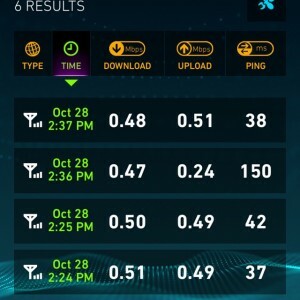 The image to the right is a screenshot of my data tests using the speedtest.net app on my iPhone 6 on “LTE” in the middle of Midtown Manhattan today. Gee I wonder what my data speed is capped at. Anyone have similar experiences? The Device Shop is Opening Its First Brooklyn Location! The Device Shop will open its first Brooklyn location at 300 Cadman Plaza West 12th Floor on Monday, October, 27th, 2014 at 11AM. The location will fix all iPhones and iPads. To see more click here. Hooray! iPhone 5/5C/5S-breakers rejoice! The Device Shop/Fix My iPhone has lowered pricing on these models. Make an appointment at any of our NYC locations online at http://thedeviceshop.com/make-an-appointment or call us at 347-469-0378. Please see below for updated pricing and come see us today! The repair only takes 20-30 minutes. Yes, that’s it! Check out the article on Bloomberg News, where Matt discusses #BENDGATE.